Bali News: Ultra Music Festival is a music performance in the title by Ultra Worldwide. This year is the 17th show. Ultra Bali is the biggest Ultra Music Festival will be held in Bali. This news expressed by many dance music fans around the world. That's because Bali is a small island with a foreign tourist visits with a number of very much. As happened in Dreamfield Festival in Bali last year, the number of visitors to the festival it is very much. Even in the many visitors who did not get admission because it has been sold out. Ultra Bali will be a success because of the security conditions in Bali is still favorable. Bali is still the main destination for vacation. The cost of living is very low because of differences eyes very much money, resulting in Bali a cheap destination in the world, with all the facilities and accommodation on offer in Bali. 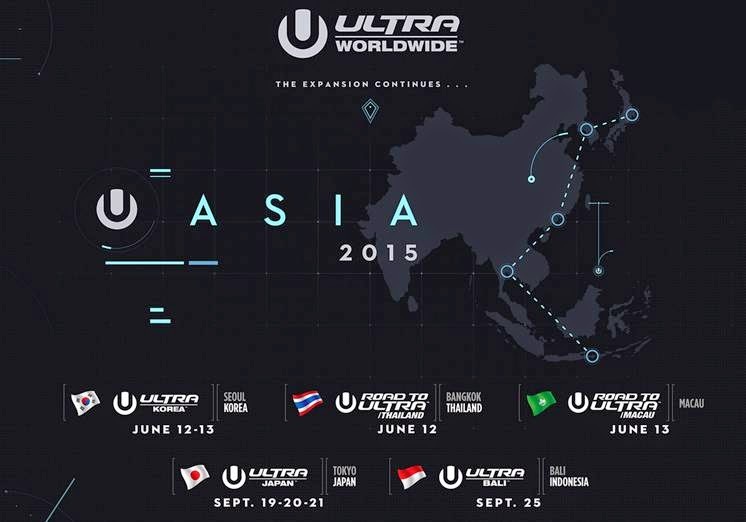 In Asia, the Ultra Music Festival held in five different locations, namely in Thailand, Macau, Japan, and Bali. Bali is the final location of the festival. Bali will be held on September 25, 2015. It is not known where the location of the festival will take place. Not to information when tickets go on sale. Which obviously Bali will be a very exciting if this music festival held. EDM, Electronic Dance Music is the kind of music that is displayed at the Ultra Music Festival. Electronic dance music (also known as EDM, dance music, club music) is a genre of electronic music percussion produced especially for dance-based entertainment (dance), as to the dancefloor in a nightclub. EDM music mostly made to be used by disc jockeys and played by DJs continuously, in the sense of one song to another song connect or synchronized. One of the things that causes rapidly growing EDM music and loved by the people in different parts of the world is because it is universal. This music can still be enjoyed to the fullest, even if the listener does not understand the lyrics of the EDM music. Moreover, most of the actual EDM music has no lyrics are sung, and the only form of musical accompaniment only. This is because more EDM music highlight the sounds of music, such as beat percussion, bass, and game sounds and instead highlight the lyrics or singing vocals. So language is not a barrier for someone to be able to enjoy this kind of music.